I have been a fan of Warren Buffett, the world’s biggest value-creator, since around 2000. At the time I admired his past successes but assumed he would retire/die shortly and as a result never bought any of his stock. But I’ve just bitten the bullet and bought a few shares of BRK.B, the ‘affordable’ mini share in his conglomerate, Berkshire Hathaway. 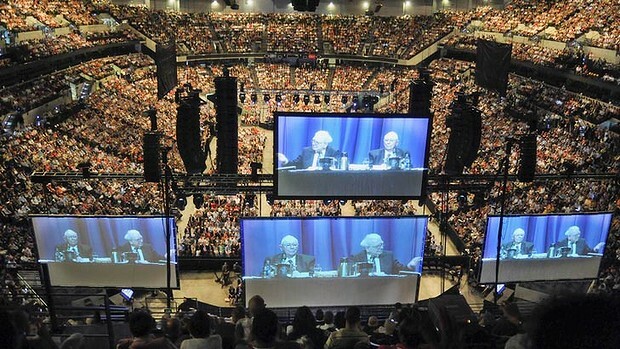 I would like an invite to the Berkshire Hathaway Annual General Meeting in Omaha. The so-called ‘Woodstock for capitalists’ is on my bucket list so I hope to go before the great man himself kicks the bucket. Recent market dips make BRK appear to be OK value. As far as I can work out BRK.B’s earnings per share are around $8. This is a P/E of 16. This is a roughly market average P/E (and corresponds to an earnings yield of 6%) for a business with a very strong track record of delivering above-market EPS growth over a sustained time period. Congrats on being a Berkshire Hathaway shareholder and hope you enjoy your trip to Omaha!